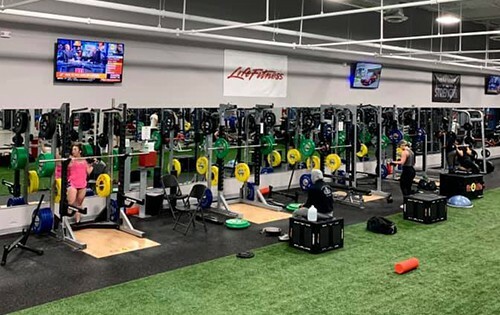 The most eagerly anticipated sporting event on the calendar is finally here, and Fit4Life gyms in North Carolina are going all in. March is the month where basketball fans from around the country will be found glued to their TV sets as the nation’s top teams battle it out. The NCAA Division I men’s basketball tournament has been an institution since its inception in 1939. The single-elimination tournament starts in the middle of March with 68 teams competing in 7 rounds for the championship and the team at can’t wait for the action to start. There are several useful weight training exercises that work well for basketball strength and fitness, and the personal trainers at Fit4Life Health Clubs have voted for their 3 top favorites. They believe that a lot of basketball training focuses on fitness, but it’s important to remember to work on upper body strength too. Fit4Life’s team of personal trainers are available at the different locations to help members get the exercises right, and ensure that injuries don’t happen. This works the chest muscle and is a great exercise for strengthening for beginners through to advanced as the weights on the barbell can be increased. Using a medium grip width, lift the bar from the rack and hold it straight with arms locked, breathe in and lower the bar to the chest, then push the bar back up, breathing out. Rowing is an effective strengthening exercise that works the muscles in the middle back. The exercise is suitable for beginners and uses a rowing machine. It’s best to use a low pulley row machine with a V-bar as this will ensure a neutral grip where the palms of the hands face each other. To do the exercise correctly, the torso should be held still while completing the rowing motion. Another strengthening exercise, side lateral raises uses dumbbells to work the shoulders. They’re an easy exercise for beginners, and by increasing the weights, are suitable for advanced users as well. Start with a straight torso and arms at the side of the body with palms facing in. Lift the dumbbells up until arms are parallel with the floor and exhale. Return to the starting position on the inhale. 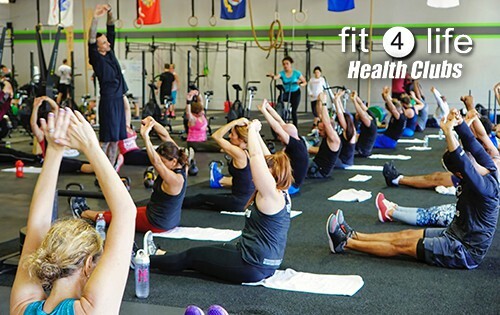 Fit4Life Health Clubs has 12 fitness clubs and gyms around eastern NC; all locations will all be showing the games so members can work out and catch all the action at the same time. They’re also encouraging members to try their hand at basketball fitness with a selection of weight training exercises designed to get members basketball-fit. 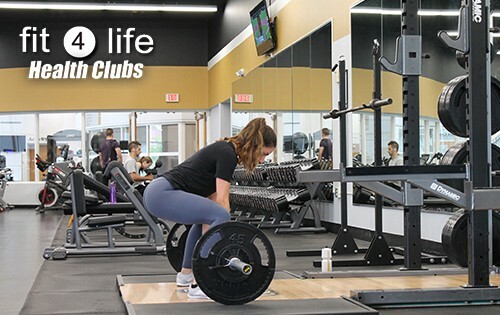 Fit4Life’s state of the art health clubs offer 24/7 access, 365 days a year, gyms with daycare for kids while parents work out as well as showers and locker rooms. The Fit4Life gyms offers a wide range of high and low impact classes including spinning, Zumba and Pilates. Browse the different gym locations online: Benson, Cameron, Clayton, Dunn, Fayetteville Fort Bragg Rd, Fayetteville Owen Dr, Goldsboro, Greensboro, Mt Olive, Raeford, Richlands, Spring Lake and Zebulon. They’re also excited to be opening their new gym in Hope Mills soon.